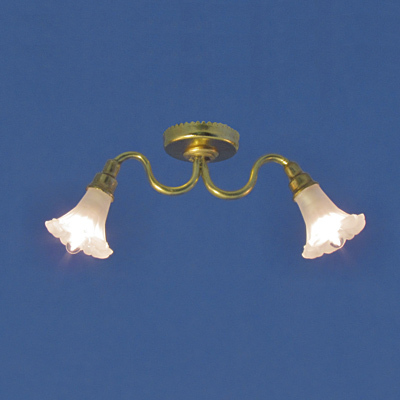 HSCL-115 Two Light Brass Ceiling Fixture with frost shades – Lighting Bug Ltd. 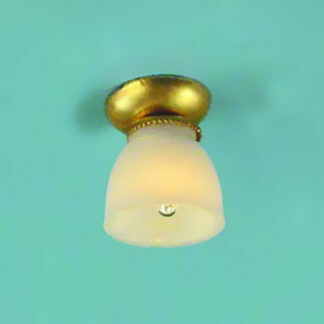 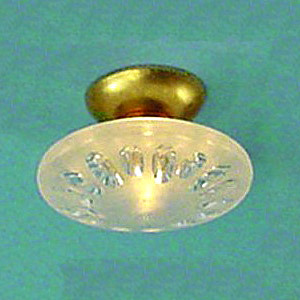 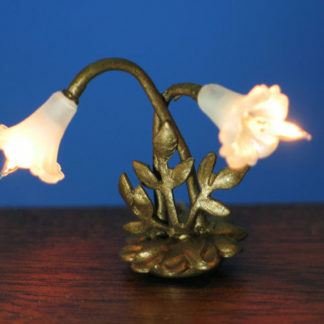 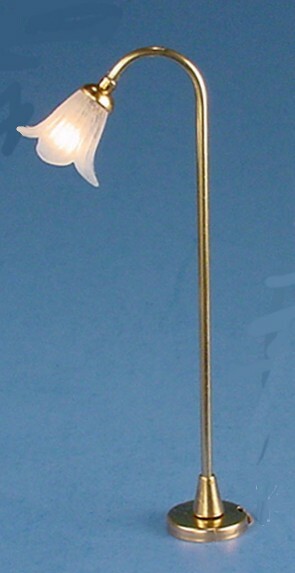 This adorable ceiling light is perfect for your 1/24th scale bedroom, or any small room. 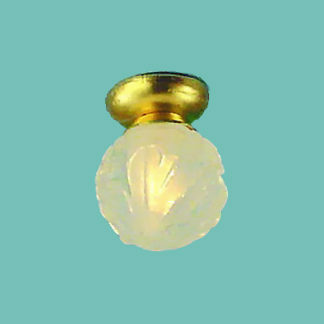 It features replaceable long-life grain of rice (GOR) bulbs.